The Ia Drang Valley campaign was a landmark for me, because it introduced me to the most brilliant tactical commander I'd ever known. Colonel Ngo Quang Truong was General Dong's chief of staff. He did not look like my idea of a military genius: only five feet seven, in his midforties, very skinny, with hunched shoulders and a head that seemed too big for his body. His face was pinched and intense, not at all handsome, and there was always a cigarette hanging from his lips. Yet he was revered by his officers and troops-and feared by those North Vietnamese commanders who knew of his ability. 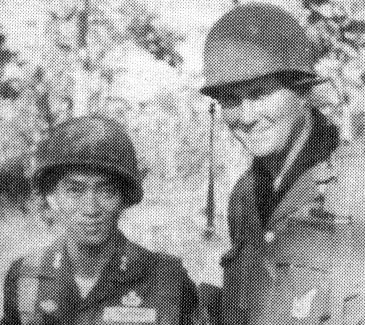 Any time a particularly tricky combat operation came up, Dong put him in command. I'd never heard anything like this at West Point. I was thinking, "What's all this about eight o'clock and eleven o'clock? How can he schedule a battle that way?" But I also recognized the outline of his plan: Truong had reinvented the tactics Hannibal had used in 217 B.C. when he enveloped and annihilated the Roman legions on the banks of Lake Trasimene. Long after he'd issued his attack orders, Truong sat smoking his cigarettes and studying the map. We went over the plan again and again late into the night, visualizing every step of the battle. At dawn we sent out the 3rd Battalion. They got into position and, sure enough, at eight o'clock they called and reported heavy contact. Truong sent the 5th Battalion to the right. At eleven o'clock they reported heavy contact. 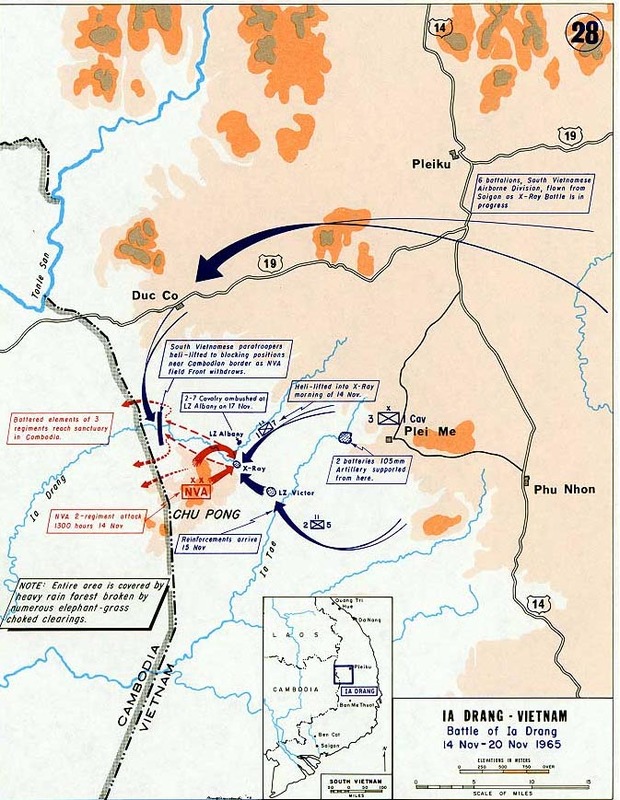 As Truong had predicted, in the jungle below us the enemy had run into the 3rd Battalion at the border and decided, "We can't get out that way. We'll double back." That decision violated a basic principle of escape and evasion, which is to take the worst possible route in order to minimize the risk of encountering a waiting enemy. Had they climbed out of the valley up the Chu Pong Mountains, they might have gotten away. Instead they followed the low ground, as Truong had anticipated, and now we'd boxed them in. He looked at me and said, "Fire your artillery." We shelled the area below us for a half hour. Then he ordered his two remaining battalions to attack down the hill; there was a hell of a lot of shooting as we followed them in. Around one o'clock, Truong announce, "Okay. We'll stop." He picked a lovely little clearing, and we sat down with his staff and had lunch! Halfway through the meal, he put down his rice bowl and issued some commands on the radio. "What are you doing?" I asked. He'd ordered his men to search the battlefield for weapons: "We killed many enemy, and the ones we didn't kill threw down their weapons and ran away."